Successful representation of debtors, committees, examiners, trustees and creditors in all manner of complex and simple bankruptcy cases, covering the full range of day-to-day bankruptcy and litigation matters, adversary proceedings and contested matters, recovering tens of millions of dollars for estates and creditors. An experienced trial lawyer, I have appeared before bankruptcy and federal district courts around the country, as well as in state courts, appellate courts, and in regulatory and arbitration proceedings. 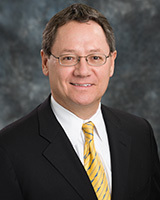 In addition to bankruptcy and general litigation, the substantive areas of my varied experience have included director and officer liability, insurance coverage, products liability, personal injury, medical malpractice, construction, trademark issues, securities litigation, commercial mortgage backed securities, RICO, white-collar and blue-collar criminal defense, False Claims Act, and corporate compliance issues. Texas Rangers (representation of the Office of Commissioner of Baseball). ASARCO LLC and various ASARCO subsidiaries (counsel to creditors committee for litigation matters). General Motors and Chrysler (certain creditors). TIC United Corporation (lead counsel to Chapter 7 Trustee). AmeriTruck Distribution Corporation (counsel to Chapter 7 Trustee). AHERF (counsel to Tenet Healthcare Corporation for certain litigation matters). Friede Goldman (counsel to Debtor for certain matters). ICH Corporation (counsel to Lone Star Liquidating Trust). National Gypsum (counsel to ACMC for certain litigation matters).